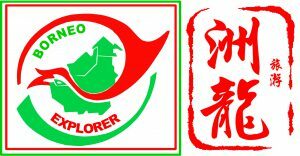 Borneo Exploration Tours & Travel was established in 1991. In the year 2001, they have been recognized as one of the Top 3 Tour Operator in Sarawak during the ” Hornbill Tourism Award 2000″ and in the same year, they also won the “Best Supporting East Malaysia Agent” by Genting Resort World Berhad. And ” Top Achiever Award” for East Malaysia operator, the following year. Recently, they just won the Sarawak Hornbill Tourism Award, being “Outstanding Inbound Operator in Sarawak” for the year 2011/2012. They have been approved as IATA member, Malaysian Association of Tour & Travel Agent (MATTA) and the Sarawak Tourist Guide Association (SKTGA).